To redeem your Gift Card, follow these steps: 1. Visit http://www.amazon.co.uk/gp/css/gc/payment 2. Type the claim code in the box and click 'Apply to Your Account'. Copied and pasted codes may not work. 3. Gift card funds will be applied automatically to eligible orders during the checkout process. 4. You must pay for any remaining balance on your order with another payment method. Your Gift Card claim code may also be entered when prompted during the checkout process but you will not be able to redeem your Gift Card using the Amazon.co.uk 1-Click® service or downloadable e-books unless you first redeem the Gift Card through Your Account. 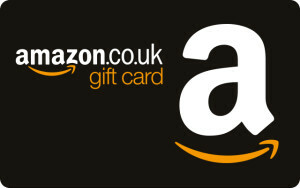 If you have questions about redeeming your Gift Card, please visit www.amazon.co.uk/gc-redeem. If you have questions regarding the Giftcloud Introductory offer, please contact Giftcloud. *Amazon.co.uk is not a sponsor of this promotion. Amazon.co.uk Gift Cards ("GCs") may be redeemed on the Amazon.co.uk website towards the purchase of eligible products listed in our online catalogue and sold by Amazon.co.uk or any other seller selling through Amazon.co.uk. GCs cannot be reloaded, resold, transferred for value, redeemed for cash or applied to any other account. Amazon.co.uk is not responsible if a GC is lost, stolen, destroyed or used without permission. See www.amazon.co.uk/gc-legal for complete terms and conditions. GCs are issued by Amazon EU S.à r.l. All Amazon ®, ™ & © are IP of Amazon.com, Inc. or its affiliates.